Taping for Elvis Costello’s "Spectacle" Bruce plays a Radio medley with full band: Bruce, Roy and Nils plus Elvis Costello & the Imposters. Plenty of discussion between Costello and Springsteen. 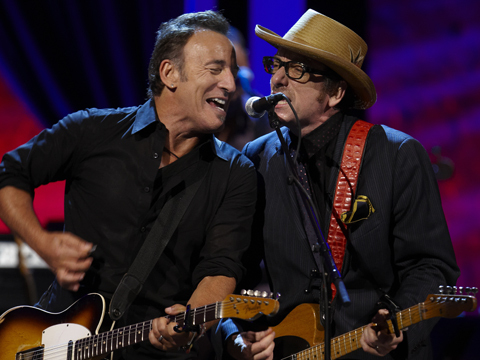 The song was part of a medley that included Radio Silence (snippet, sung by Elvis Costello), followed by Radio nowhere, partial, sung by Bruce, followed by Radio Radio (snippet, sung by Elvis Costello). Bruce was backed by Roy Bittan and Nils Lofgren on "Wild Billy's Circus Story". "American Skin (41 Shots)" is Bruce solo. "Galveston Bay" is Bruce and Roy. Elvis Costello sings "Black Ladder" and "Brilliant Disguise" with Bruce and Nils backing. "I Can't Stand Up For Falling Down", "Seeds", and the Radio medley are full band: Bruce, Roy and Nils plus Elvis Costello & the Imposters. Costello also performed Springsteen's "Point Blank" with the Imposters. "Spectacle" : "Elvis Costello with..." is a UK/Canadian television series that was shown on Channel 4 in the UK, CTV in Canada. The show features intimate interviews between the host, Elvis Costello, and various musical guests intertwined with performances by Costello and the guests, separately and together.Elvis Costello ’s spectacle. "Radio Silence" is a song taken from Elvis Costello’s album "when I was cruel". 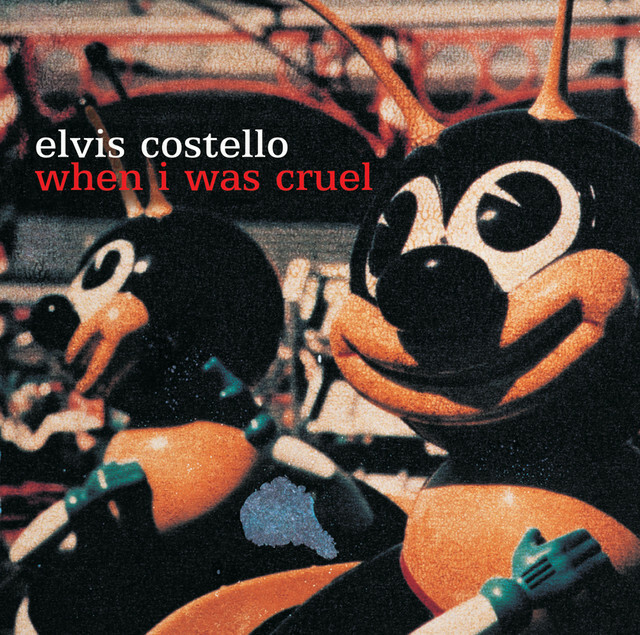 "When I Was Cruel" is Elvis Costello's 19th album, recorded in 2001 and 2002 and released in the US by Island Records on 23 April 2002. Although formally credited as solo Costello album, this was the first album to feature his new band, The Imposters. Their only difference from his previous band, The Attractions (active 1977-87 and 1994–96), was the replacement of bassist Bruce Thomas, with whom Costello had feuded, with Davey Faragher. Do those drug dealers still polish women made of wax?